My kids have been home from school this week on Spring break. It’s been busy and messy! LOL I just love that my kids love to create and cook up their own concoctions in the kitchen..BUT after about the 5th Smoothie creation mess. Along with the other Homemade Snack Food for kids, I decided to make life just a little easier AND a little less messy, so I made these Healthy Smoothie Cubes for Kids and it helped tremendously as we didn’t have to make a mess every time they wanted one! 1 How to make your own Healthy Smoothie cubes for Kids! 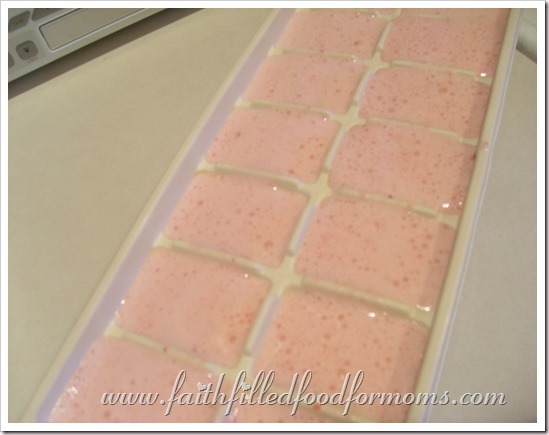 How to make your own Healthy Smoothie cubes for Kids! Make up a few batches of Smoothie’s. Any flavor you want..you could even make different batches with different flavors. 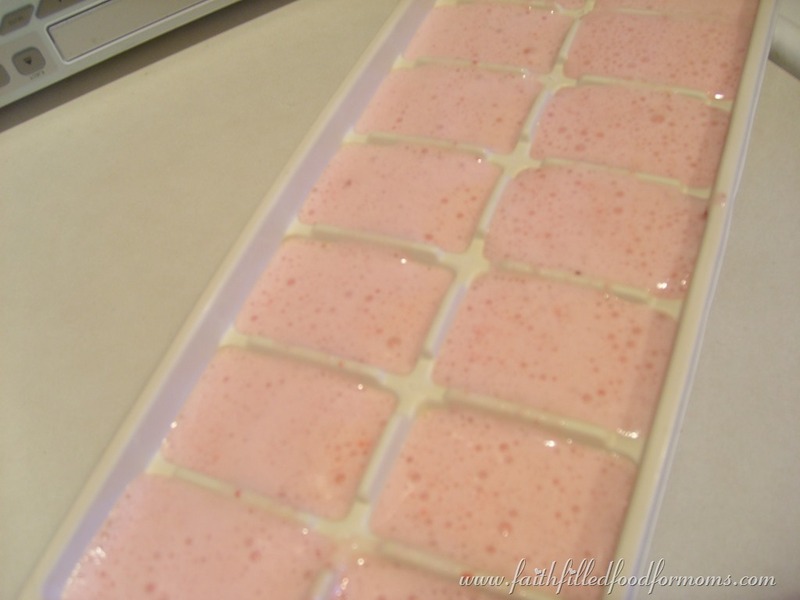 Then pour into ice cube trays! After they have frozen..pop them out and put into freezer bags! YAY…NO MESS 🙂 Well except the blender..but hey..it’s better!! With these healthy smoothie cubes for kids they’ll be happy as pie! 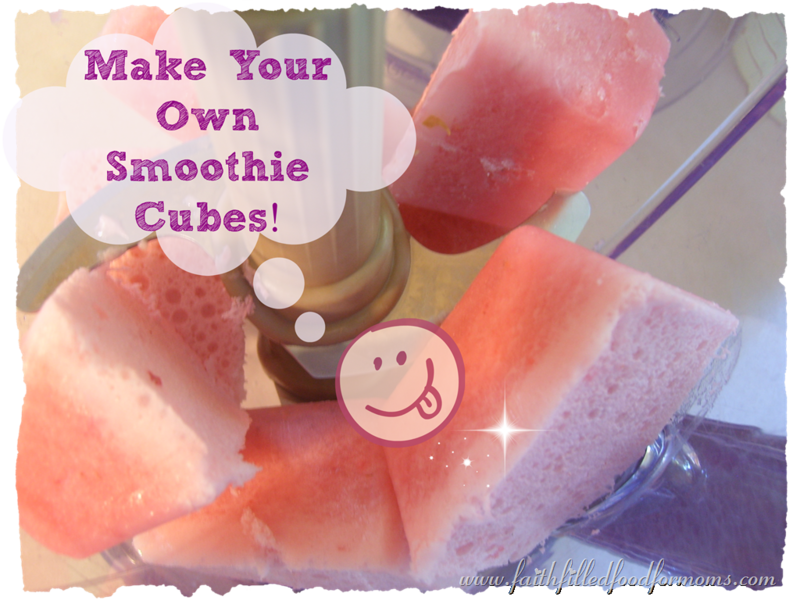 A simple how to make your own healthy smoothie cubes recipes for kids tutorial. Blend ingredients all together in a blender. To use: Simply take out as many smoothie cubes as you like and blend. You may need to add a little liquid if too thick. It can be a little juice, milk, almond milk, coconut milk, even water. Thanks Bethany! And thank you for stopping by! 🙂 Blessings to you! I CANNOT wait to try these fruit cubes. My kids may get one or two, also 🙂 Thanks for coming to our Link Up Party at allthingswithpurpose.com!! THat sounds yummy! I’m from UBP! Come see me! Hi Alyssa..I will visit 🙂 Thanks for stopping by!! Blessings! Hi Shari, It’s always a sweet treat to run into a familiar face at the Ultimate Blog Party 2013. I hope you’re having a wonderful week! Blessings! Hi Kaye!! Yes it is nice to see a friend on UBP! Thank you so much for stopping by and saying HI! We’ve been in crisis mode around here but that is clearing up..LOL Life! Have a blessed rest of the week! Wow Sarah! What an honor..thank you soooo much! And thank you for having the linky 🙂 Blessings To you! Thank you Carole! I’m a little behind on my blogging with the long holiday weekend! So sweet of you to invite and would love to join the fun! Blessings!! Awesome Leslie! Thank you for stopping by!! Thanks for sharing this at TTF this week! What a great idea! Thank you Linda!! Have a blessed week!! I need to do this!! Thanks for sharing over at WholeHearted Home. Great idea! Thanks for sharing & linking up @ DearCreatives.com Hope to see you again soon! Hope your having a great week! You are welcome Theresa and thank YOU for the party! Blessings! Thanks for sharing this idea! This would make it possible to make-ahead several kinds so that in the morning, when brains are foggy, the decision can be made quickly, and so can the smoothie! I tried them as Popsicles, but that didn’t work as well as I would have thought. The whole fruit/veggies make the consistency too ‘grainy’ to really enjoy that way. But as a quickie fix to the morning rush, this is perfect! You are soo welcome Dani! It’s amazing what we come up with out of necessity isn’t it!! LOL 😀 This makes life so much more easy! Thank you for taking the time to stop by and say Hi! Blessings to you! Great idea — this would be wonderful for a quick breakfast or snack for my kids — making them in cubes would save me some steps! 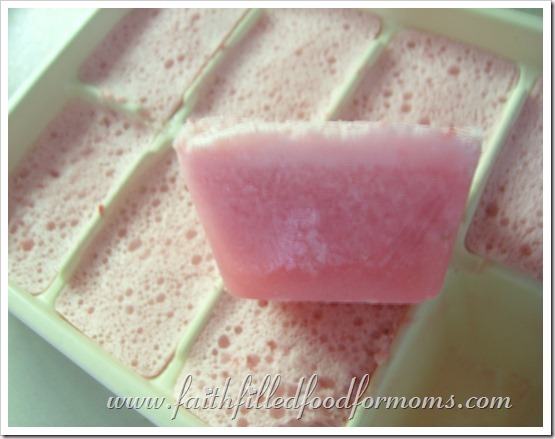 I was excited to see that your post was featured on the Good Tip Tuesday linkup! Congrats and I look forward to reading more of your great tips. Oh my goodness! Now I know what to do with my extra smoothie mix so it will not go to waste! Thanks for sharing! I am not this clever. I would never have thought of this, but it is brilliant. I like fruit in ice cubes but didnt think about this one. 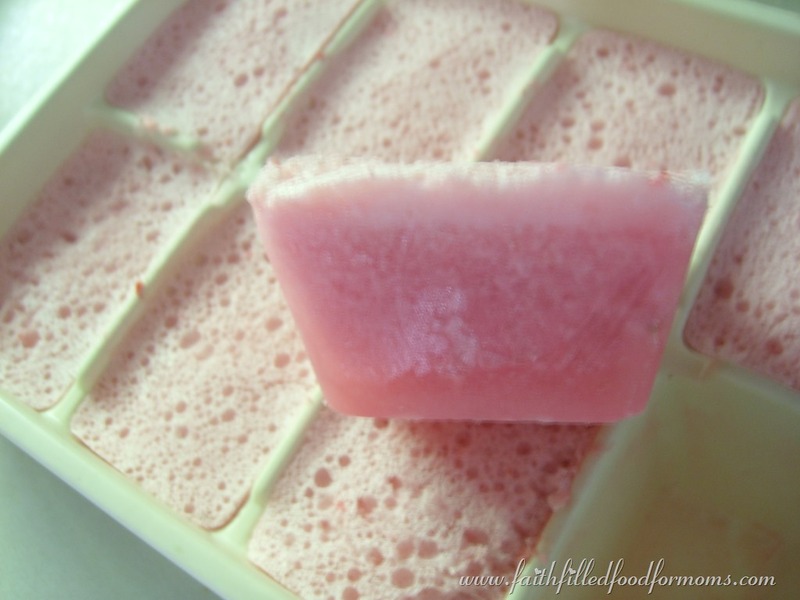 I usually freeze the fruit for that icy consistency but this is a great idea – just like the ones the supermarkets sell. That is a brilliant idea! Much easier to do than making up fresh each and every time. That is so awesome! Thanks for these tips.